Having a big event? Need something for everybody? All genres and age groups? This is the package for you. 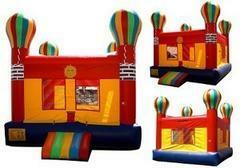 All inflatables need to be on separate outlets. So if generators are needed, they are available for an additional cost. 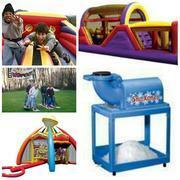 You can also substitute the interactive games (bungee run) and bounce house. Depending on availability. Servings for the concessions will be enough to feed 100 people. If additional servings and supplies are needed, let us know. We will let you know the additional cost. 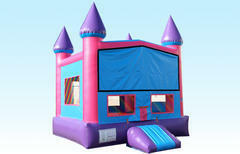 Pink and Purple Bounce House 13x13.. Cotton Candy Machine,1 table 6 chairs. Supplies to feed 75 people. Let the imaginations run wild in this great Shark Adventure pkg!! 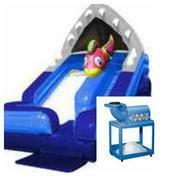 Pkg includes the Shark Attack WET Slide and sno kone machine, with 2 servings of syrup of your choice, with servings for 35. Great way to Beat the heat & cool off! 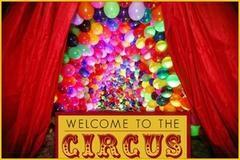 Fun for all ages, and yes we do mean ALL ages! TEENS WILL BE TEENS!! 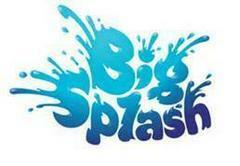 HERE IS A PACKAGE THAT IS JUST FOR THEM, OR EVEN ADULTS THAT ARE STILL YOUNG AT HEART!! 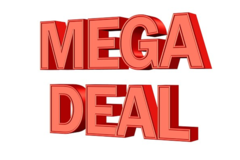 PACKAGE INCLUDES THE 2 LANE BUNGEE RUN, 40 FT OBSTACLE COURSE, THE ULTIMATE BIG FOOT RACE, (may be replaced with 2 pony hops if not available), 5 N 1 WORLD SPORTS CENTER FOR THOSE THAT WANT TO PLAY SOME SPORTS! IT HAS BASKETBALL, BASEBALL, SOFT DARTS, FRISBEE THROW, SOCCER, AND FOOTBALL ALL IN ONE. THEN AFTER A FUN FILLED DAY OF PLAY, COOL OFF AND QUENCH THEIR THIRST WITH A TASTY SNO KONE TREAT. COMES WITH TWO FLAVORS, 2 SCOOPS, AND ENOUGH CUPS TO FEED 50 PPL.